NEWS | New International Mission Board President David Platt answered media questions by phone shortly after IMB trustees elected him on Wednesday. Platt addressed concerns about his church’s giving through the Cooperative Program and the importance of local churches to the work of the IMB. Local churches are central to the IMB’s work, Platt said, noting that congregations must do more than merely provide funds for overseas ministry. Platt was asked whether he will urge churches to give to missions through the Cooperative Program—Southern Baptists’ unified program of supporting missions and ministries—or encourage designated giving directly to the IMB. In response, he acknowledged a constant need to evaluate and improve CP but said it should continue to be “the primary economic engine that fuels” Southern Baptists’ cooperative ministry endeavors. “The last thing the SBC needs is a do-it-alone IMB that’s trying to in any way undercut the Cooperative Program,” Platt said. Platt was asked specifically about the CP giving of the congregation he pastors in Birmingham, Ala., The Church at Brook Hills. The church has contributed to the SBC Cooperative Program Allocation Budget and, according to an IMB news release, has contributed directly to the IMB. Gifts sent directly to the Executive Committee or an SBC entity are defined as designated gifts, not CP giving. In 2013, The Church at Brook Hills gave $100,000 to the SBC CP Allocation Budget through the Executive Committee; $25,000 to the Cooperative Program; $12,500 to the Alabama Baptist Children’s Home; $15,000 to the Birmingham Baptist Association; $300,000 to the Lottie Moon Christmas Offering for International Missions; and $325,000 to the International Mission Board in special designated gifts, for a total of $777,500, or 8.9 percent of the church’s total receipts for the year, to Alabama Baptist and Southern Baptist causes. Projections for 2014, according to the IMB report, are: $175,000 through the SBC Executive Committee; $25,000 to the Cooperative Program; $15,000 to the Alabama Baptist Children’s Home; $68,000 to the Birmingham Baptist Association; $300,000 to the Lottie Moon Christmas Offering for International Missions; and $718,000 to the International Mission Board in special designated gifts, for a projected year-end total of $1,301,000, or 13.8 percent of total projected church receipts. Platt said he does not consider The Church at Brook Hills a “perfect model of giving” and is not holding it up as an example for every church to emulate. However, he said the church was “totally disengaged” from the SBC when he arrived eight years ago and has made “major strides” in cooperation. As he works with churches, Platt said he will advocate CP as a means rather than an end. BREAKING NEWS | Trustees of the Southern Baptist International Mission Board have elected David Platt to succeed Tom Elliff as the agency’s president. More than 4,800 missionaries serve around the world through the IMB, the world’s largest evangelical, denominational missions agency. 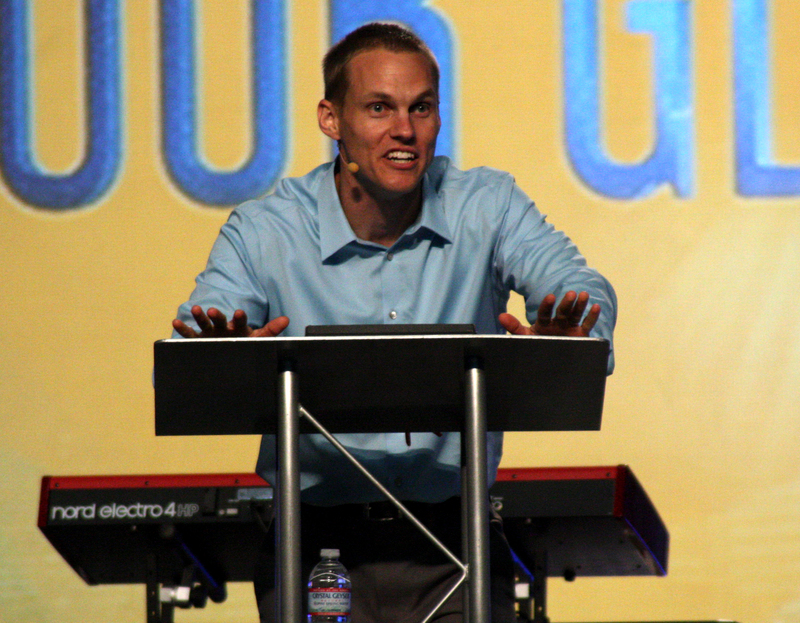 Platt, author of the bestselling book “Radical” and a popular conference speaker, is known for his intense preaching and focus on authentic discipleship. The 36-year-old currently is pastor of The Church at Brook Hills in Birmingham, Ala.
A video message and letter from Platt to his congregation was posted immediately on Brook Hills’ website after the official vote was announced. “We talk all the time about laying down a blank check with our lives before God, with no strings attached, willing to go wherever He leads, give whatever He asks, and do whatever He commands in order to make His glory known among the nations of the earth, particularly among people who have never heard the gospel,” Platt said. David Uth, chairman of the search committee who recommended Platt, said the new IMB’s new president will be instrumental in mobilizing the next generation of missionaries. “I think the missionary force, the young people God is calling … represent one of the greatest forces in Christian history right now,” Uth said in an interview after Platt’s election. Brantley and fellow doctor Nancy Writebol were both given an experimental drug after being infected with the Ebola virus in Liberia. According to an Aug. 20 update from the Centers for Disease Control and Prevention, 624 people in Liberia have died from the virus, which also has spread in Guinea, Nigeria and Sierra Leone. What is believed to be a different strain of the virus has also been reported in the Democratic Republic of Congo. Earlier this month, Driscoll and Mars Hill were removed from fellowship from Acts 29, the church planting network he helped found. (Southern Baptist pastor Matt Chandler currently serves as president of Acts 29.) A day after the network’s decision, LifeWay Christian Resources pulled Driscoll’s books from its stores and website. A division of the U.S. Department of Health and Human Services has released new rules for non-profits and “closely-held” corporations that object to a mandate requiring them cover abortion-inducing drugs in their employee health care plans. But the new plan still allows for an insurer or third-party administrator to cover the services, reports Baptist Press. Update: Jan Harding was released from the hospital Aug. 23. Baptist leader Jim Harding told reporters Aug. 21 his family is sad, rather than angry, about the Aug. 10 poisoning of his wife at a Utah barbeque restaurant. Jan Harding is still hospitalized with esophageal burns after taking a sip of sweet tea that had lye in it. “We have absolute confidence in our God,” said her husband, a professor at the Utah extension center of Golden Gate Baptist Theological Seminary. Read more at BPNews.net. Church planters in Chicagoland and northwest Illinois partnered with volunteers Aug. 16 for the most recent edition of Serving Across Illinois, a year-long focus on meeting practical needs. Teams hosted block parties and celebrations, tidied up schools, and handed out water and Bibles to bikers. Click here for photos from the day. A recent visit with exchange students was like a crash course in geopolitics. “This group doesn’t get along with these people,” they explained before a dinner of sloppy joes. Our new friends, both from former Soviet republics, told us about the precarious dynamics in their homelands. Their voices were matter-of-fact, unflinching about the hostilities that are, for them, the way things have always been. It’s hard to imagine being so used to war in your own country. On the other side of the world, however, it’s too easy to adopt that kind of nonchalance. Take the recent rash of violent conflict sweeping across the Middle East. War, unrest, and religious persecution are such big parts of what we know about the region. Many of us are desensitized, disengaged, and even disinterested in who’s fighting who now. Until a tweet or Facebook post puts a face on the issue. Or until you remember someone you know—like my friends at the dinner table—who understands and has possibly experienced this kind of personal war that sends families running for the mountains to escape almost certain death. We all know someone who has been persecuted. As militant groups in Iraq continued their assault on religious minorities, including Christians, leaders in the U.S. urged the western church to remember that. 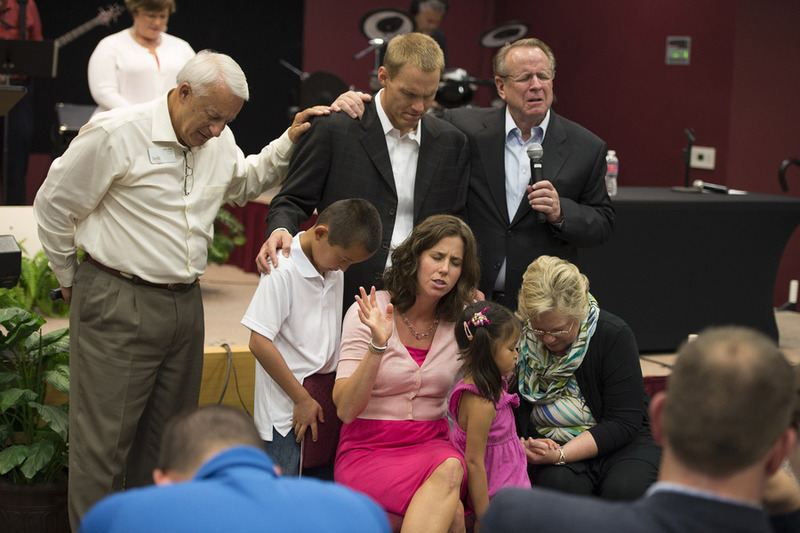 These fellow Christians are our family, Open Doors USA President David Curry wrote this month. We ought to “pray fervently” for them, Southern Baptist ethicist Russell Moore said. We all know someone, because we’re family. But when the problems seem distant, how do Christians pray fervently? The International Mission Board is leading the way by including prayer requests at the end of their news articles about the unrest in the Middle East. “Beg the Lord to awaken the world to the humanitarian crisis unfolding in Iraq and provide pathways for Christians and others to respond,” they posted after a story on the Yazidi Kurds forced to flee their homes. We all know someone, so let’s pray. For the last eight years, I have been working in churches that were in need of revitalization, or breakout. I know this doesn’t make me an expert, but it has given me field experience. In addition, for the last three years I have been intensely studying the condition of the American church and her impact in contemporary culture. I have come across many success stories of pastors who led their church to positive breakout. But it seems that for every story of success, there are nine stories of struggle and heartache. In all honesty, leading a church to breakout is like trying to climb Mount Everest. It’s daunting and extremely difficult. In my last column on Nehemiah, I explained how his breakdown laid the foundation for the breakout of his people. But that’s not the end of the story. Nehemiah also faced many obstacles in leading the breakout. The king (his boss) had already stopped the rebuilding of the wall years earlier. Nehemiah hadn’t led this kind of work before. He faced a long, dangerous journey to get to the people, and once he arrived, he met a discouraged people in need of motivation and organization. Just like Nehemiah, those who want to lead a church to breakout will face a variety of obstacles. As leaders, we face obstacles of perceptions, practices, poor theology, and people’s resistance to change. For many, the perception is that the church is fine—we’re paying the bills and ministries are still running. When it comes to practices, over time churches tend to focus on insiders, not outsiders, which can lead to neglecting the building, failing to create hospitable environments, and lacking a defined process for connecting new people. Poor theology also can be an obstacle. Without being aware, a congregation can lose their passion for the centrality of Jesus and his gospel, their urgency to call people to repentance and salvation, and their missional posture towards the community and the nations. This is paramount for church and denominational leaders to understand, especially given the fact that we live in a self-help culture where there is no shortage of books, conferences, leadership podcasts, and workshops about how churches can breakout from their unhealthy condition. While there’s nothing wrong with many of these resources, I have to constantly remind myself that these are supplements to breakout, not the source. Humility is the breakthrough position. Nehemiah’s prayer reflects his understanding of God’s position and power, and that he and Israel are His servants (Neh 1:5, 6,10). Our prayers should reflect God’s transcendent position in relations to us—how great, gracious, awesome, faithful, and powerful he is. In addition, our prayers should reflect our humble position to God—a position that’s here to serve him and be used by him to do what he has put in our hearts. When it comes to leading our churches to breakout may we never confuse our role with God’s—we are simply conduits by which He works to bring his people where He wants them to be. Faithfulness is the breakthrough pattern. In Nehemiah’s prayer, we see that his going to the Father wasn’t a one-time deal; he did this “for days.” Scholars note that four months passed between chapter one and two. Thus, for over four months, Nehemiah faithfully goes to the Lord, humbling and submitting himself to God’s will and leading. His continued faithfulness reflects both the seriousness of leading a breakout and his belief that only God could do it. If we desire to lead our churches to breakout, not only must we have a breakdown, but we must have a breakthrough—an “aha moment” were we realize God is the only one who can breakthrough the obstacles we face. Josh Laxton is lead pastor of Western Oaks Baptist Church in Springfield. His first column on Nehemiah appeared in the July 28 issue of the Illinois Baptist. 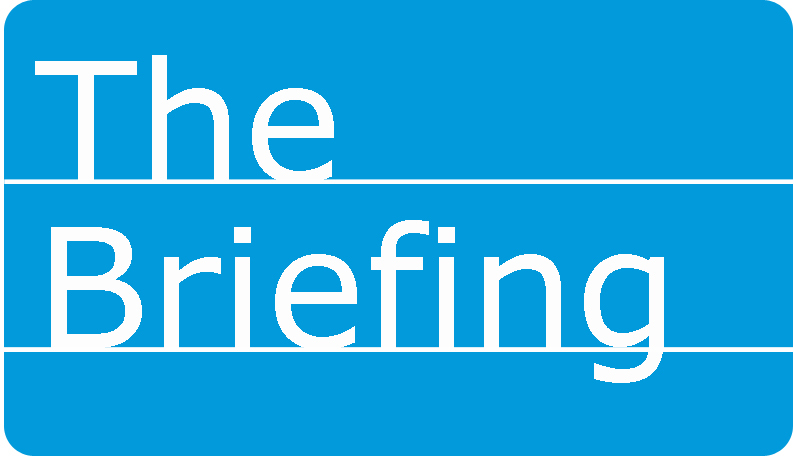 THE BRIEFING | A group of church planters worked together Aug. 13 to help clean up Ferguson, Mo., a St. Louis suburb rocked by rioting and protests since 18-year-old Michael Brown was killed by Police Officer Darren Wilson on Aug. 9. Costephens and other church planters mobilized between 100 and 200 people to pick up trash and clean up looted storefronts. The group also attended a citywide prayer service at First Baptist Church in Ferguson. According to a Baptist Press report, Pastor Stoney Shaw said the interracial prayer service exuded a spirit of reconciliation, with participants recognizing the need to love and understand one another. Read more at BPNews.net. A Nigerian relations expert said the crisis precipitated by the Boko Haram terrorist group has reached a “new dimension.” Adeniyi Ojutiku told Baptist Press the group has started using tactics associated with ISIS (Islamic State in Iraq and Syria), the militant group responsible for recent persecution of Christians and other religious minorities in Iraq. Boko Haram’s takeover of the town of Gwoza has resulted in nearly 1,000 deaths, rather than the 100 reported by some sources, Ojutiku said. Read more about the persecuted church in the August 18 issue of the Illinois Baptist, online now. Analysis by Pew Research found that 15% of the world’s countries require their head of state to be affiliated with a certain religion. In 17 of those nations, the head of state must be a Muslim, while two countries (Lebanon and Andorra) require the person who holds the post to have a Christian affiliation. Interestingly, Lebanon also requires its prime minister to be a Sunni Muslim. LifeWay Christian Resources is studying the advantages and disadvantages of selling part or all of its property in downtown Nashville, President Thom Rainer told staff in an Aug. 1 letter. Citing demand for property in the area and fewer employees working at the downtown location, Rainer said, “…It would be poor stewardship for the organization not to explore the possibilities this situation could present for our ministry.” About 1,100 employees currently work at LifeWay’s corporate offices, Baptist Press reported. LifeWay spokesman Marty King estimated nearly one-third of the building is vacant or leased.